The Faculty of Business Economics was founded in 2005 in Bijeljina, continuing the tradition of the College of Foreign Trade, established in 1993. Classes are held in four study programs at the first and second study cycles. The Faculty of Business Economics enables its students efficient application of scientific and professional achievements in the field of economics with the possibility of professional work in all segments of business and public administration, especially in companies, banks, insurance companies, accounting agencies, auditing firms, investment funds, brokerage houses, stock exchanges, etc. International exchange of students and teaching staff at the Faculty of Business Economics in Bijeljina provides an opportunity for all interested students to choose, according to their preferences, a faculty abroad where they want to study one semester. All professors and assistants are also given the opportunity to develop their skills abroad. 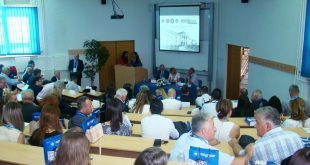 The Faculty of Business Economics Bijeljina publishes journal "New Economist" twice a year, and organizes scientific-technical conference "EKONBIZ" in Bijeljina every three years. There is a student organization of active students and alumni organization of graduates at the Faculty.